Do your eyebrows lack definition? Would you like a fuller and more defined look for this important facial feature? Do you require a beauty treatment procedure that saves time and money and will leave you looking your very best for longer? If you answered yes to any of these questions then why not contact Shear Perfection By Shari today and allow our team of eyebrow tinting specialists to take care of every single detail in a relaxed and stress-free environment. With a wealth of experience in a wide range of beauty therapies and facial health care procedures, Shear Perfection By Shari has developed a reputation for being one of the most trusted and reliable beauty treatment clinics in Mesa . 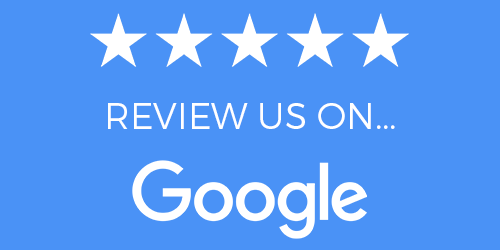 Our commitment to excellence and attention to detail separates us from other clinics in Mesa , and this is why we are fortunate enough to have a growing number of loyal and returning clients. Are you tired of spending hours each week working meticulously to make your eyebrows look thicker or more luscious? Eyebrow tinting is the perfect way to solve this problem. Eyebrow tinting is a service that uses semi-permanent vegetable dye to enhance the shape and color of your eyebrows. The benefits of this procedure are immediate and long-lasting. So, what are you waiting for? Call us today to schedule an appointment. How Safe is Eyebrow Tinting? One of the most common questions about eyebrow tinting that Shear Perfection By Shari, receives from our Mesa clients is how safe the procedure is. And to be completely honest, we fully understand these concerns. That fact of the matter is that any procedure involving dye applied close to your eyes needs to be carefully considered and approached with a certain degree of caution. That being said, if you choose to have this tinting procedure at Shear Perfection By Shari, you can rest assured knowing that you will receive a safe and thorough procedure that will leave your eyebrows looking amazing without any risks to your health. The simple fact of the matter is that Shear Perfection By Shari takes immense pride in the exceptional eyebrow tinting service we offer. That is why when you select us, you are you will be cared for by one of the most reputable beauty and health clinics that Mesa has to offer. We ensure that all our technicians are licensed and fully certified to perform eyebrow tinting services. Following a range of cosmetic industry best practices in all aspects of safety, Shear Perfection By Shari guarantees your safety at all times during this painless and rewarding eyebrow tinting procedure. If you want to save yourself some time and money, then why not contact Shear Perfection By Shari today and allow our expert beauty therapists to provide you with a superior eyebrow tinting service that is unrivalled in Mesa . When it comes to offering a great beauty therapy service with competitive prices and convenient opening hours, then Shear Perfection By Shari should be the first number you call. All information provided is provided for information purposes only and does not constitute a legal contract between Shear Perfection By Shari and any person or entity unless otherwise specified. Information is subject to change without prior notice. Although every reasonable effort is made to present current and accurate information, LinkNow™ Media makes no guarantees of any kind.